Bird heater and bird box heater. Aviary heater suitable for birds and bird house. Birdhouse warmers and bird house heater. 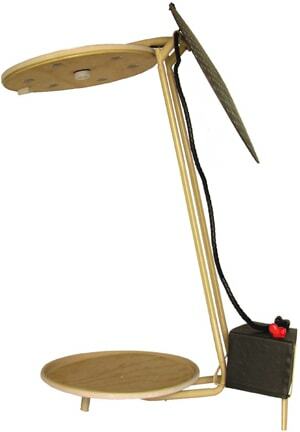 Perch heater for birds heater. Plans for a bird house and aviary. Warming birds and cooling birds with a fan heater. A fan heater for keeping birds warm . Bird loft heater and bird cage heater. Keeping birds warm with a small heater. The bird heaters are weatherproof. Bird cage heaters and heated bird perch. Weather proof bird heaters and aviary heaters that are ideal for bird cages and bird homes. Solar heated bird aviary and solar heated bird cage. 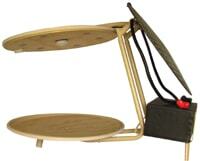 Perch heaters for birds and miniature bird heaters. Solar heater and bird aviary and keeping aviaries warm. around an aviary. The filters can be washed and re-used. Spare filters are supplied with every heater. A impact resistant housing & weather proofing is fitted on the aviary heaters electrical parts. You have a choice of using a battery, transformer or solar power to operate the small bird heater. A pet safe heater for warming birds. 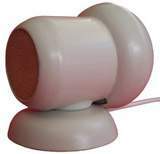 Bird house heaters are touch safe and may operate free standing in a bird box or mounted on a surface of your pets home. 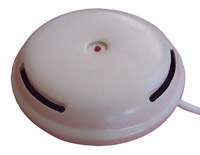 enclosure heaters have automatic water drainers. or exposed to all types of wet weather conditions. 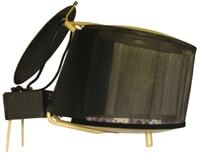 Bird cage heaters are easy to fit to your pets cage. Simply place it in the position you desire and tighten one bolt. Fittings and easy to read instructions are provided for you. No skills or tools are required to fit the small bird cage heater. 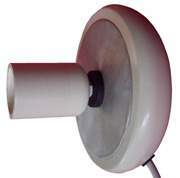 A whisper quiet fan will gently blow warm air throughout your pets home. The air is filtered to prevent particles from being spread. heated perch are small & easily supported by a cage. Branches found around your birds native habitat make ideal perches. They can be dried or have an abundance of foliage. 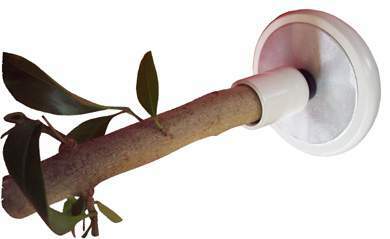 Small branch heaters have weather proof cases and AUTOMATICALLY WARM TREE BRANCHES exposed to weather. 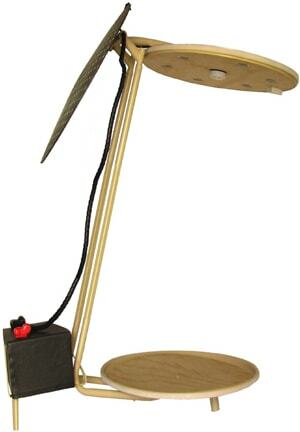 Perch heaters are package deals that includes 3 perches of different lengths plus a spare perch holder. bird homes can be made by handy pet owners. 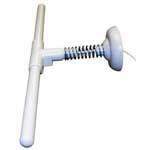 manual is provided with every bird perch heater. are inexpensive and readily available at stores. 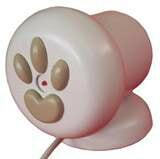 There is also a touch safe pet warmer fitted to the front of the small perch heater. Pet warmers allow your bird to snuggle up close to the plate for warmth. spring that imitates the movement of branches. of birds landing and departing from the heated perch. Creating a natural moving perch reduces stress and friction between the captive birds. the heated perch moves. Pets will feel warm & safe. L.V. Transformer (supplied) provides warmth. Requires no tools to attache onto a cage. Shaped to prevent cramps and sores. Written one year buyers guarantee. 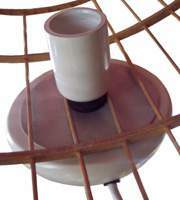 Thermo-Perch heated bird perches help to protect your exotic birds from harmful air conditioning and drafts. Thermo-Perches provide consistent warmth The small heated perch is safely controlled by an AUTOMATIC THERMOSTAT. Birds that are free in nature will do everything possible to escape the cold. If you have a small pet in a cage exposed to the cold weather your bird may suffer. But there's no way of providing warmth for pets home. The solution is to place a battery operated miniature heater in the spot where your pet enjoys resting. Simply connect a small battery onto the miniature heater. Pet heaters are weatherproofed for safety. be safely warmed with the miniature heater. A miniature heater for birds that can be placed in any position. The pet friendly heater is weather proof and operates on a transformer or battery for long periods. The tiny touch safe heater for birds has all the excellent safety features of miniature bird heaters plus a small suction cup to enable quick mounting. of the small pet heaters emission plate. A large selection of solar heated homes plus heaters for your birds. a solar heated bird house and bird cage are included FREE. This great bargain finishes when our Partner stocks have sold out. 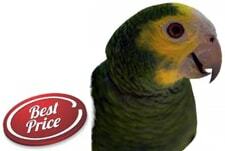 FREE SHIPPING plus a three YEAR refund policy Birds home must have electrical leads and connections positioned in a safe area. When constructing a heated aviary, cage or bird home ensure the safe positioning of the birds home, electrical leads and connections before commencing construction. 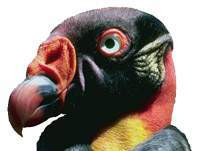 The bird heating products may be operated on a transformer or battery* INCLUDED unless otherwise stated. Our small bird heaters are weather proof and built to the high standard you deserve. A manufacturers warranty protects your investment.